The Niagara Equissage is a fantastic tool for this process. Use the Back Pad at level 2-3 after competition for 30 minutes. This will relax the horse and help reduce the build up of lactic acid and the stiffening of muscles and joints. Use Niagara Equissage to relieve your horse’s back problems. A majority of back problems can be treated on a daily or regular basis with the Niagara Equissage. 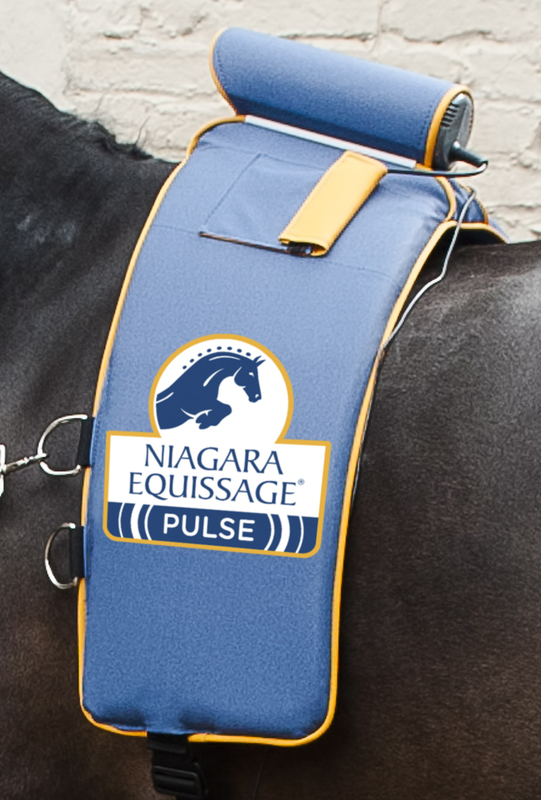 Your Niagara Equissage Back Pad is fitted with a timer that will automatically run the unit for 20 minutes. In general, the majority of back problems will be treated with the Niagara Equissage Back Pad used on a daily basis in the saddle position for 20 minutes at a speed of 4. However, we recommend the use of the Hand Unit in conjunction with the Back Pad once or twice a week, or as necessary, for optimum care and results. 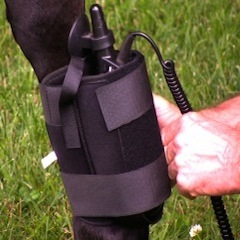 Hindquarter problems can be helped by using the Niagara Equissage Back Pad and Hand Unit on a daily basis. In general, the majority of hindquarter problems will be helped by using the Niagara Equissage Back Pad in the saddle position for 20 minutes at speed 4. In the case of pulled muscles or a build up of lactic acid, use the Hand Unit daily, then once or twice a week for optimum maintenance. 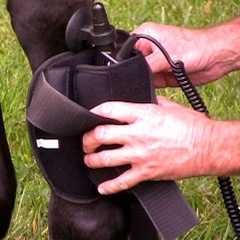 Using the Hand Unit at medium to high speed, move slowly down the muscle. The Niagara Equissage can handle most hoof problems. For bruised soles and to increase circulation, apply the Niagara Equissage Hand Unit. This will also encourage healthy hoof growth. For bruised soles, apply the Hand Unit directly. For maximum increase of blood circulation and to encourage healthy hoof growth, apply the Hand Unit to the bulb of the heel. The Niagara Equissage is effective for helping leg problems. 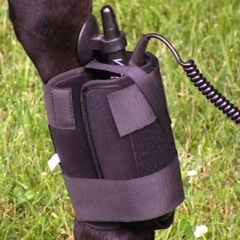 Use the Niagara Equissage Leg and Tendon Boot to treat leg and tendon problems such as swelling, arthritic conditions, sore shins and many other ailments. The Niagara Equissage Leg and Tendon Boot is the most effective way to treat the majority of horse leg and foot problems. These problems include pulled ligaments and tendons, swelling, inflammation, circulatory disorders, arthritic conditions, sore shins, capped hocks, laminitis, and bruising. The Leg and Tendon Boot in conjunction with the Niagara Equissage Hand Unit will create a very deep circulatory massage to the whole leg. This in turn will increase local blood and lymphatic circulation, relax muscles and help improve joint mobility.